Manchester United Football Club - Manchester United F.C. is one of the world's largest, most triumphant and most popular soccer clubs. 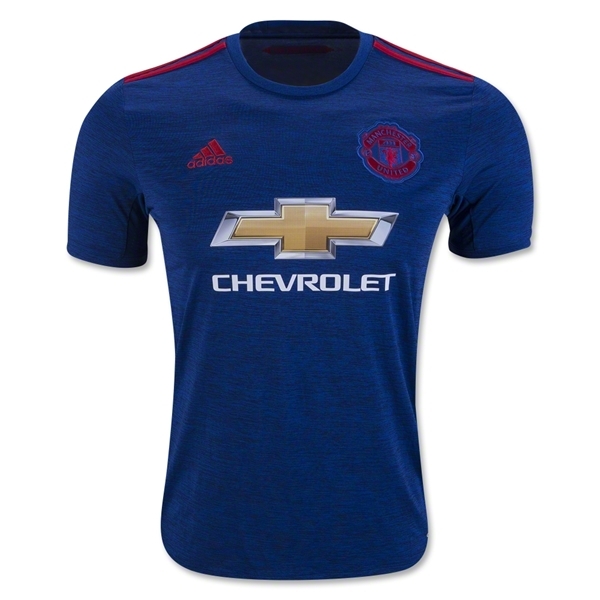 The blue Manchester United away jersey honors the one worn during the 1968 European Cup, when Manchester United defeated Benfica to claim its first european trophy. Accent color red links the home and away designs. The team badge is red trimmed in blue, with a red embroidered adidas logo. Red adidas stripes are on the shoulders. 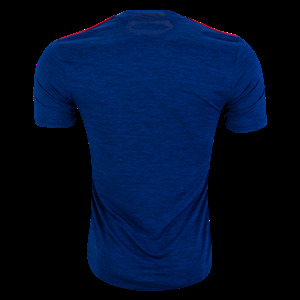 "The Red Devils" is printed inside the collar. 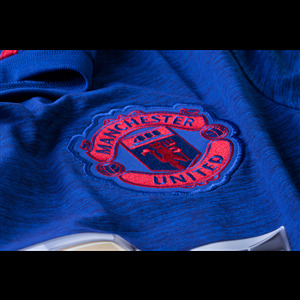 "MUFC" is printed in blue on the outside. ClimaCool technology. 100% Polyester.